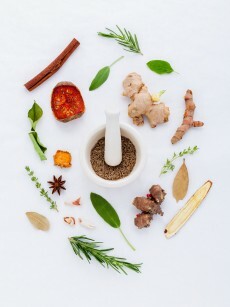 Top 10 Herbs that Make Your Brain More Effective | Global Garden Friends, Inc. In rare occasions, you’re fully focused and aware of everything happening around you. You’re able to complete all daily tasks without much effort and you even have free time to do some reading and engage in your favorite hobby. But those days are rare. More often, people feel exhausted. That’s because the responsibilities imposed to a person today are much more complex than they ever were. Let’s take a college student as an example. She has to attend classes until late afternoon. Then she has to study and work on a challenging research paper. She has so much pressure on her shoulders that she considers giving up. The least she could do is delegate the research paper to a service like ScholarAdvisor. Why does this happen? Her brain and body are not strong enough to handle daily challenges. Have you noticed the same thing happening to you? Most of the time, people are just tired or unfocused even if the lab results turn out perfectly fine. You know what? Nature has the answer to your problems. There are tons of herbs that can enhance your focus and feeling of awareness. We’ll list 10 of them. Have you heard of adaptogens? These herbs help your body to adapt to fatigue and stress. Ashwagandha is one of them. The herb not only helps you alleviate stress, but also improves the body’s muscular energy and the brain’s cognitive functions. It’s like speeding up your entire system. Maca root is another adaptogen with beneficial effects to your focus and energy levels. It’s a good source of vitamins and minerals, but it’s also an efficient antioxidant. It’s a popular herb among athletes, since it boosts their energy and improves their performance. Maca is also used for memory improvement. You’ve surely heard of ginseng, but have you heard of Siberian Ginseng? It’s not really ginseng, but that’s its name. One study found that this herb helped the participants fight symptoms of professional fatigue (burnout). Now we’re talking about the real ginseng. It’s a powerful antioxidant, which cleanses your system of all toxins. That’s enough for improvement of your overall vitality, including brain functions. Arctic root is also known as roseroot or golden root. It’s known for its stress-reducing capacity, but it’s also great for boosting your cognitive functions and increasing your physical energy. This herb is also known as Brahmi. In Ayurveda, it’s used for memory improvement and improving hand-eye coordination, especially in children. The herb is also useful for children with ADHD. Some evidence shows that restlessness, learning problems and other ADHD symptoms may be improved with the consumption of bacopa. Thyme is an herb that contains apigenin. It’s a flavonoid that has been proven to increase brain connections. Scientists observed the neurons being formed when people received a particular dose of apigenin. They found that the neurons made stronger and more sophisticated connections between themselves. This herb been used for centuries because of its ability to make you more focused and alert. It may prevent age-related memory problems, but it also improves your cognitive functions when you’re young. When used as an essential oil in aromatherapy, rosemary can help you improve your mental clarity, focus, and memory. This herb comes from Madagascar, and it’s also known as perwinkle. It’s commonly being used for boosting the brain’s health. It does that by increasing the blood circulation in the brain. As an effect, you get increased focus and thinking ability. But you have to be aware of its side effects, so don’t take it unless recommended and dosed by a certified homeopath. So yes; it’s possible to take your brain to a whole other level of effectiveness if you just use herbs. Just do your research and choose the one that seems right for your needs. As always, it’s recommended to talk to your doctor before you decide to use any herb as a supplement on a daily basis. Author Bio: One famed freelance writer on the internet, Laura Buckler, deserves all the credit she can get for her amusing articles full of depth and complex content about life and inner potential. Find her twitter account and follow her.